Thu, Sep 6, 2018, 11:52 am SL Time, ColomboPage News Desk, Sri Lanka. 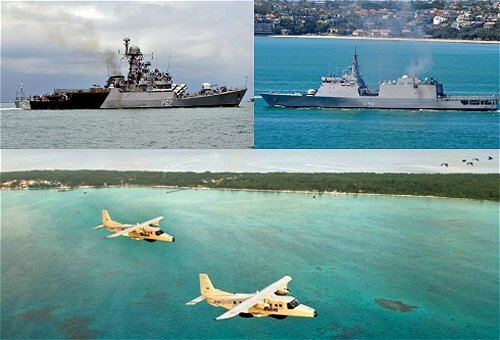 Sept 06, Colombo: Indian navy ships and aircraft have arrived in Sri Lanka to take part in the Sri Lanka Navy - Indian Navy Joint exercise SLINEX-2018 that will be held at Trincomalee from 07 -13 September 2018. The exercise which was previously held once in two years has been converted to an annual event this year onwards signifying the desire of both countries to enhance cooperation in the maritime domain and to further strengthen mutual trust and interoperability between the two navies. The exercise is a continuation of the ongoing operational interaction between both navies wherein regular ships visits are being undertaken between the two countries. SLINEX 2017 was held at Visakhapatnam in September last year wherein two ships SLNS participated from Sri Lanka Navy. The scope of the exercise has been significantly increased this year with three ships, two maritime patrol aircraft and one helicopter participating from the Indian side. In addition, Sri Lanka Air Force personnel would also join in the exercise for the first time. To be conducted in two phases, namely the Harbour and Sea Phase, the six day exercise will involve conduct of joint training, professional lectures, exchange of expertise, helicopter and maritime patrol aircraft operations, weapon drills, search and rescue, seamanship and maneuvers at sea. A highlight of the exercise would be the deployment from China Bay of Dornier aircraft manned by Indian Navy, Sri Lanka Navy and Sri Lanka Air Force personnel to conduct Maritime patrol exercises and to train personnel in conducting effective EEZ surveillance and rescue missions. The exercise would also involve sports fixtures and cultural events which would provide an opportunity for personnel from both navies to learn from each other, re-enforce shared values and to build individual bonds of friendship and camaraderie and that they would carry back home.